The Occupational Safety and Health Administration (OSHA) proposed regulations for exposure to crystalline silica are flawed and threaten the safety of highway workers and motorists, senior ARTBA staff Feb. 2 warned officials from the Office of Management and Budget (OMB). The proposed rule, issued in 2013, would significantly tighten the standard for worker exposure. ARTBA staff explained to OMB officials that OSHA used both outdated data and a faulty economic analysis in reaching the new standard. Specifically, OSHA relied on studies from 1930-1960, thus ignoring the successes of modern technology that have dramatically reduced silica exposure in work zones. ARTBA also said the agency may be doing more harm than good by requiring workers to wear respirators in hot environments, potentially exposing them to heat stroke and stress. 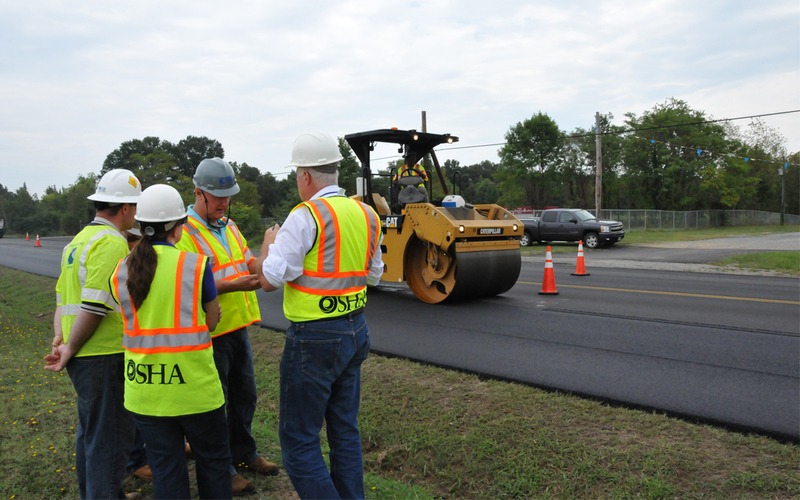 By diverting significant resources to address a hazard that is minimally harmful in transportation construction operations, OSHA is reducing the resources needed to protect workers from more significant hazards, such as struck-by incidents, ARTBA said. The association reminded agency officials that funds for transportation come primarily from tax dollars, and that money spent complying with this standard will reduce other public safety investments such as guardrail replacement and pot hole repair. ARTBA has previously offered written comments and public testimony on the OSHA proposal. OMB will continue to review the proposed rule in the coming weeks. While there is no set timetable for the agency’s review, the final silica regulations could be released as early as March. ARTBA will continue to actively monitor this important issue. ARTBA Senior Vice President of Safety & Education Brad Sant, Vice President of Safety and Environmental Compliance Una Connolly and Vice President of Regulatory Affairs Nick Goldstein attended the meeting.